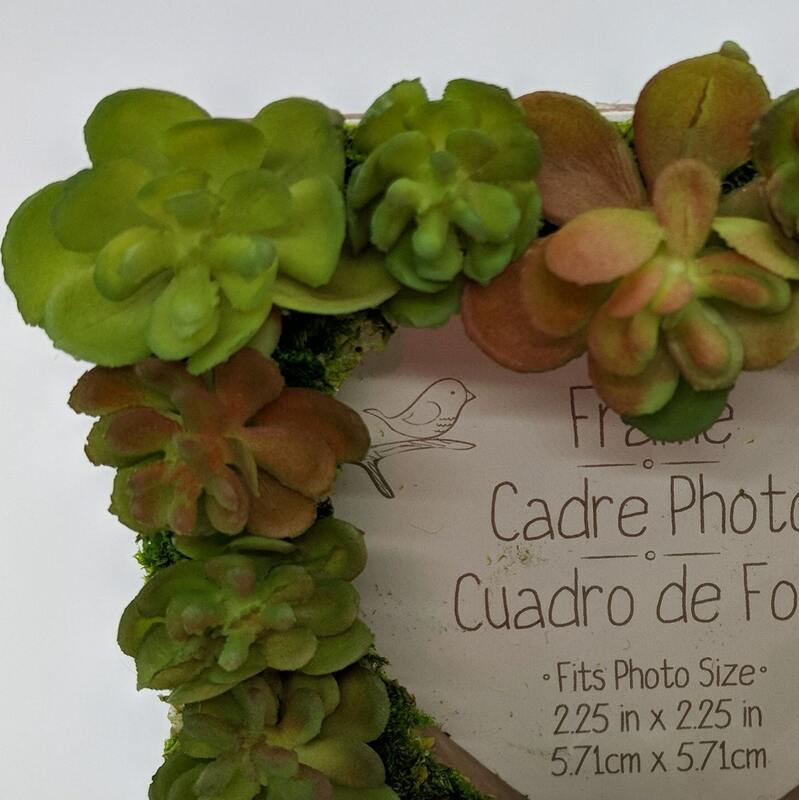 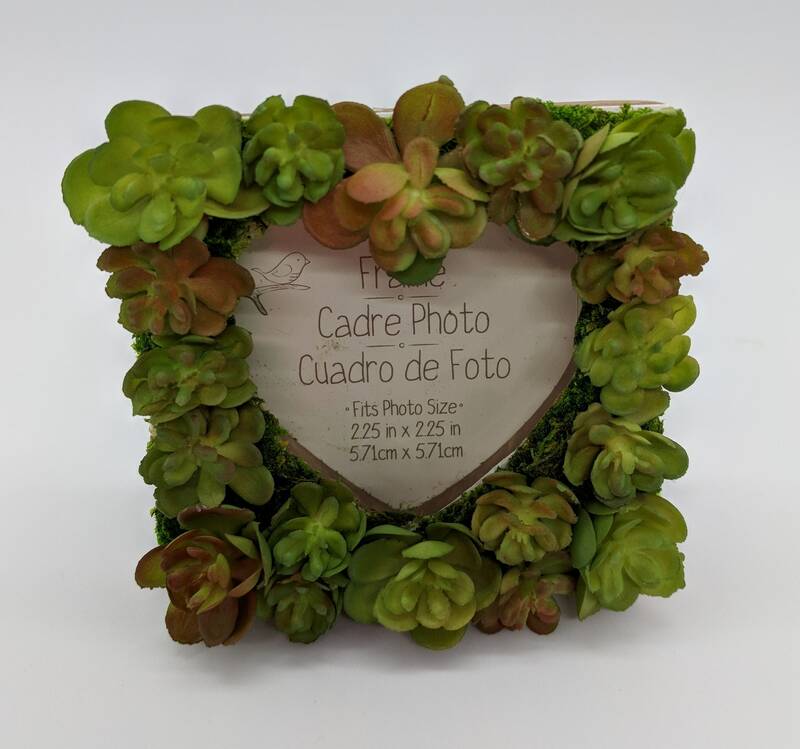 This adorable 3 x 3 " frame made out of resin with a heart shaped cut out for your favorite picture is completely covered with moss and then artificial mini succulents in shades of greens and pale reds. 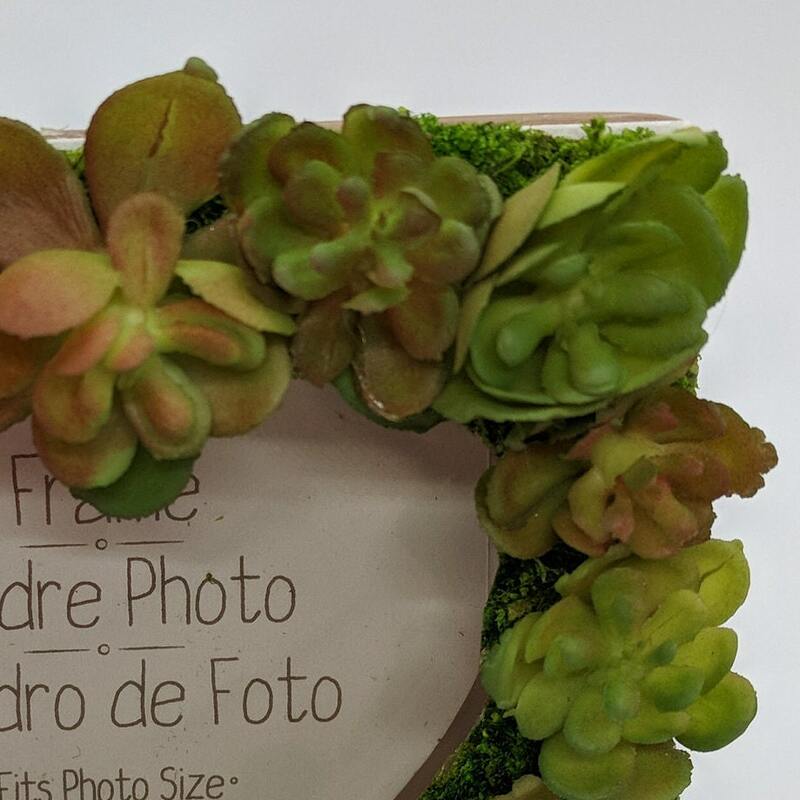 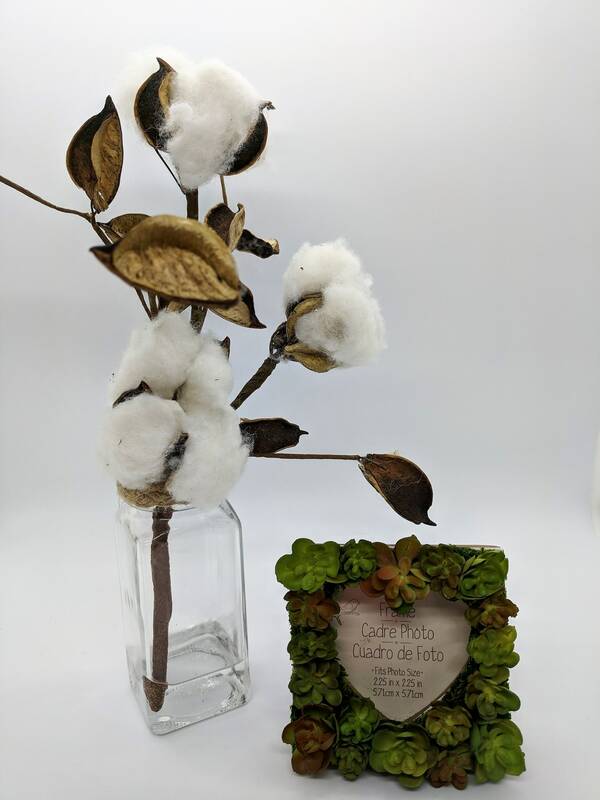 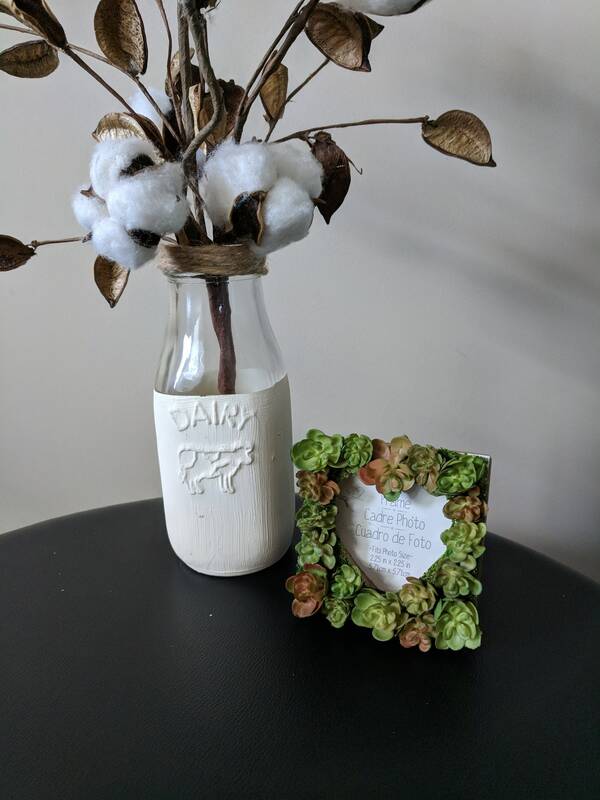 Great as an accent piece or use as a name place card holder for your wedding. 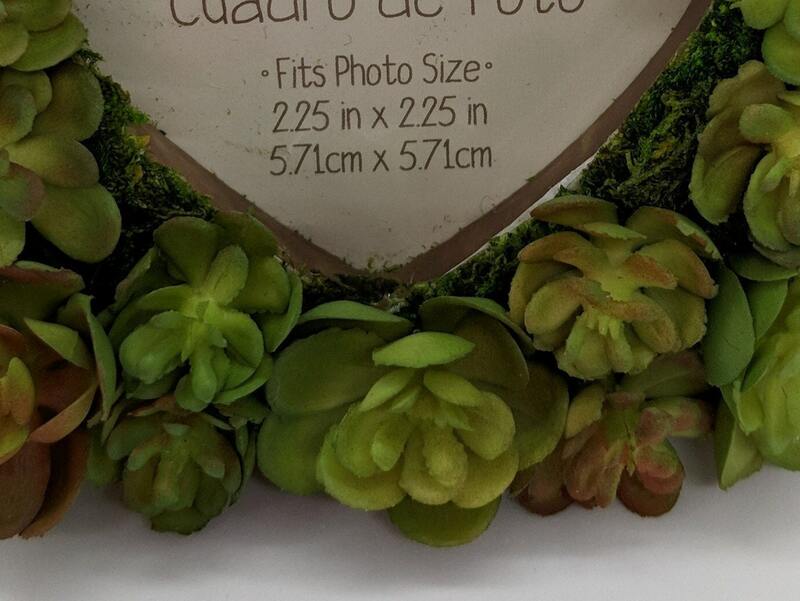 Fits photo size 2.25 x 2.25". 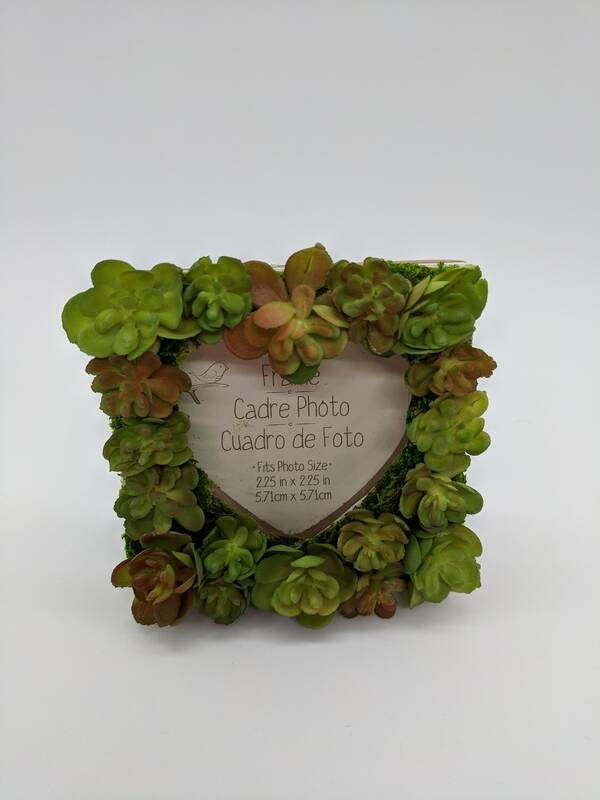 Finished size is 3 x 3 x 1"